The Buxom Wildly Whipped Lightweight Liquid Lipstick retails for $21US and $28CAN for 5ml / 0.16 fl oz of product. Caprylic/Capric Triglyceride, Polyhydroxystearic Acid, Dimethicone, Phenyl Trimethicone, Vegetable Oil, Glyceryl Rosinate, Lauroyl Lysine, Silica, Butyrospermum Parkii (Shea) Butter, Polyethylene, Dimethicone/Vinyl Dimethicone Crosspolymer, Dimethicone Crosspolymer, Ethylhexyl Palmitate, Palmitoyl Tripeptide-1, Theobroma Cacao (Cocoa) Seed Butter, Sodium Hyaluronate, Tribehenin, Sorbitan Isostearate, Silica Dimethyl Silylate, Synthetic Fluorphlogopite,Butylene Glycol, Caprylyl Glycol, Hexylene Glycol, Flavor, Benzyl Benzoate, Benzyl Salicylate, Phenoxyethanol. May Contain (+/-): Mica, Blue 1 Lake (Ci 42090), Iron Oxides (Ci 77491, Ci 77492, Ci 77499), Red 27 (Ci 45410), Red 28 Lake (Ci 45410), Red 30 Lake (Ci 73360), Red 6 (Ci 15850), Red 7 Lake (Ci 15850), Titanium Dioxide (Ci 77891), Yellow 5 Lake (Ci 19140). 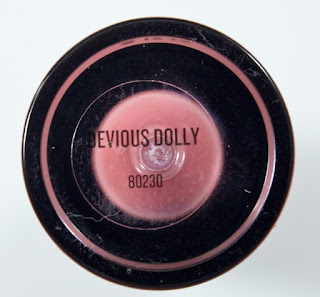 Devious Dolly is a duty warm rose with a semi-matte finish. 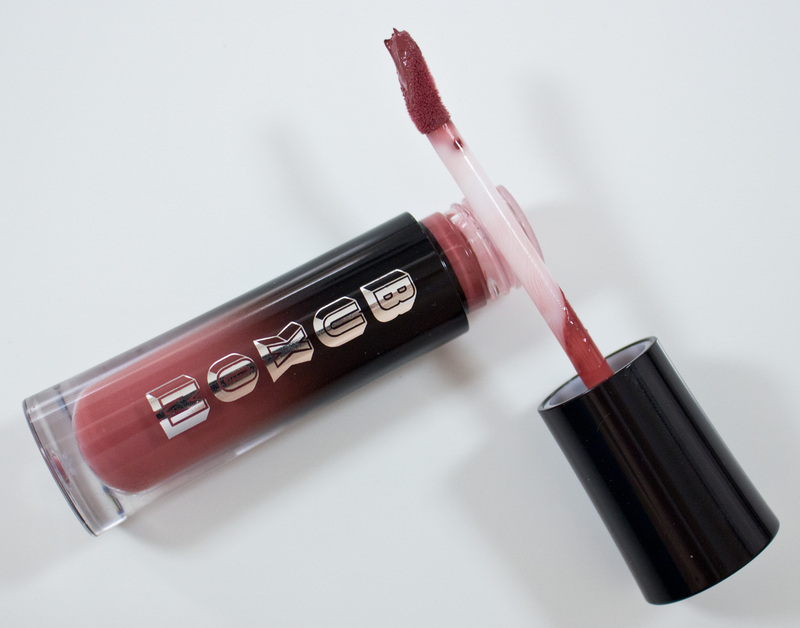 The formula is more like an oil based lip product in that it feels like it has a natural slip when applying it but it doesn't bleed either. 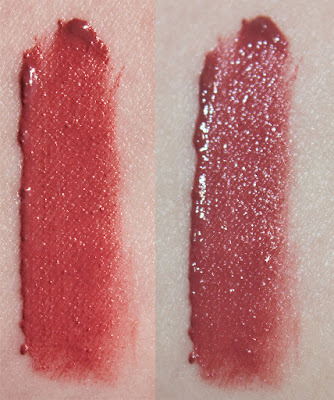 The thing about this formula is that it is a liquid lipstick but it not long wearing as the matte liquid lipsticks on the market. So yeah disappoint for me because I want a lipstick to last but I have a more natural lip stain look to the lips and a fades with dignity. Wear: Most I get about 5-6 hours of wear before needing a touch-up. Packaging: Plastic tapered at both ends tubes with a doe foot applicator. I actually do like this formula but it not what I was expecting at all. It does live up to the light weight claim on the lips as I felt like I had nothing but a lip balm on them in texture.